We create high quality, practical, attractive and low maintenance gardens. As landscape gardeners and garden designers in Lichfield, we work locally and employ local staff to create your perfect garden. We can carry out site surveys, CAD drawings, planning permission applications, and installation work. We are offering all customers 10% off our standard quotes through December, January and February. All you need to do is quote the code SP3M when you ring or email us. We offer a free consultation to visit, measure up and discuss your requirements and provide our quotes for free. For more Special Offers please login to our members area and get automatically entered into our monthly prize draw. You will also have access to specific garden advice, an annual garden planner, further special offers and more. We are a Lichfield landscape gardening business offering a huge range of services from initial design through to completion. We landscape not only back gardens, but front gardens and driveways too. We can often give drives a new lease of life with our resin-based decorative surfacing, or by simply cleaning and sealing the drive. We also carry out work for businesses, architects, developers, schools, local authorities and parish councils. Click here for more about our Commercial Services. We pride ourselves on our professional approach and service. Our membership with the Association of Professional Landscapers, the Horticultural Trades Association and the Government-endorsed TrustMark scheme help facilitate this. We are also listed on the Staffordshire & Stoke-on-Trent Traders Register, used by Age Concern among others. 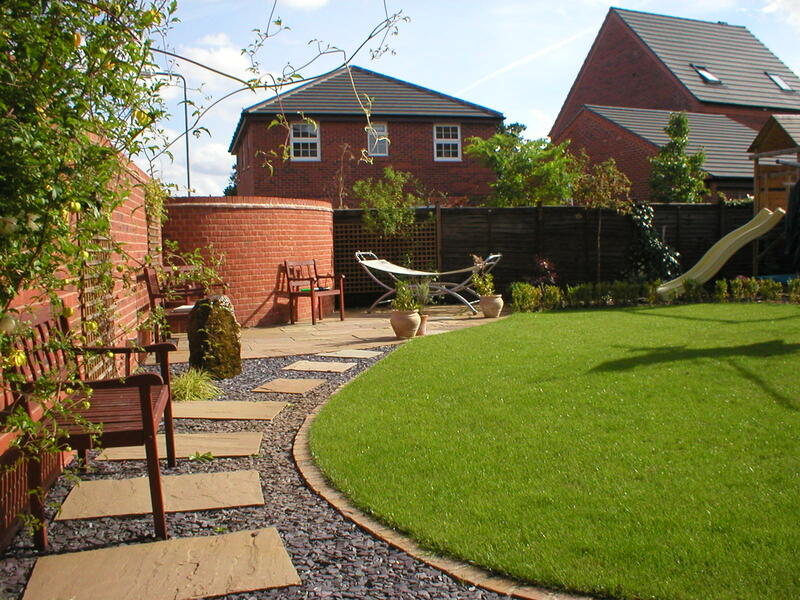 We have an extensive range of landscape gardening lichfield services and are happy to take on small individual jobs as well as large and varied projects, including project management. 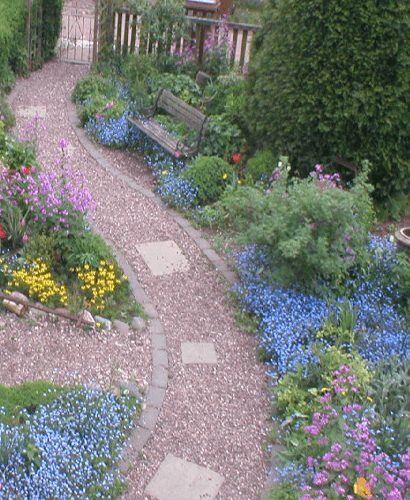 Beautiful Gardens strongly supports all aspects of environmental issues. Firstly our environmental policy ensures that the company stays local (to minimise our use of diesel) and uses over 90% local suppliers for our materials. Through this policy, we undertake to recycle as much waste of possible and are registered waste carriers with the Environment Agency. Secondly, the products we use are 90% natural. We strongly recommend the use of timber from sustainable sources, using companies accredited to the FSC. We also encourage the use of natural stone products, from slabs to water-features to gravels etc. We also have a wide variety of suppliers offering recycled products from benches, fencing, decking, rubber ‘bark’ chippings and more. Thirdly, our garden designs are considered for their environmental advantages, with new habitats created in most gardens, mainly through planting. We are proud to be able to plant thousands of plants every year, from trees to hedging whips to shrubs and perennials. These plants are the life source of thousands of animals and can be complimented by wildlife ponds, bog gardens, bird boxes/feeders/baths, log piles for hedgehogs or any range of animal-friendly installations. Sedum matting is now available on the market. This is ideal for shed rooves, rabbit hutches etc. and forms an ideal habitat for insects. And lastly, in addition to our services above, we have a range of eco-services offering everything from the installation of geothermal heating and rain-water harvesting systems, to drainage of flood-risk areas and installation of a range of free-draining surfaces. Sustainable drainage systems (SUDS) can be advised upon and implemented where necessary. Please click through to our Permeable Drives section for more eco-products. We take pride in our Lichfield driveways services. We have a range of different materials that we use to make superb driveway designs including cobblestone, block paving, asphalt and decomposed granite. We also offer driveway maintenance services to clean, re-sand and repoint your driveway. For more information about our services for driveways in the Lichfield area you can visit our Lichfield driveways page to read more. Complimentary visit to discuss the garden, measure up and give ideas and inspiration with all quotes provided for free. With 15 years landscaping experience, we offer fresh ideas and creativity. We undertake any size of project and anything garden or drive-related. From patios, walling, fencing etc to installing driveways /car-parks to garden design, planting, garden buildings and hot tubs. Offer our services to private individuals, businesses and local councils. We offer a wholly professional service; from turning up for appointments on time, providing quotes within one week of initial discussions and free scaled drawings for most projects. Our aim has always been to use local staff and suppliers to serve our local community and we take great pride in doing this. For larger projects, we provide design and consultation services and project management throughout.